Our culture has been heading in the wrong direction…and this last election was a disaster. We experience attacks on our freedom and constitutional rights, and they are escalating. The media, the education system, and the Deep State fight to make our future worse. You see disturbing trends that hinder individual liberties. We have our values mocked. Our social and economic freedoms are severely under attack. You can take a stand with me … and help turn America around. What we do now will not only affect your future, but the future of your children and grandchildren. Please, to defeat the socialists, we urgently need to begin taking action now to prepare for the 2020 election. The goal is to expand the Blue Tsunami – to massively win the next election. You can help secure your future and transform the nation, by making sure the men and women who will fight for you and your families are voted into office. With your help, we research candidates, recruit candidates and train them, and educate and mobilize voters to make the right decisions about who to vote into office. For the upcoming election, we need to vet well over 500 candidates and judges, which takes extensive research time and resources to do right for our voter guide. Without your support, the progressive socialists will win. You can help stop this insanity. Please donate today to our Turn America Around Campaign to make a difference. This is our chance to elect strong principled conservative candidates and beat those who want to destroy the American Dream. This is urgent. We are at a critical turning point in history. Your support is a surefire way to help turn America around, and to secure our individual liberties and the futures of our families. Help us transform the next election. 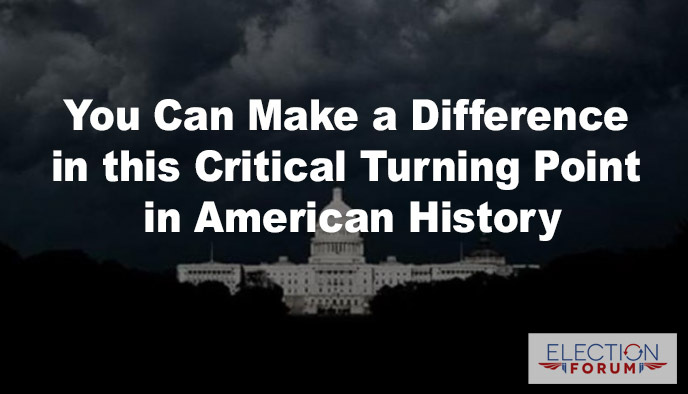 Can you please give a $10 donation, to help us transform culture and politics in our nation? We can’t win without you!